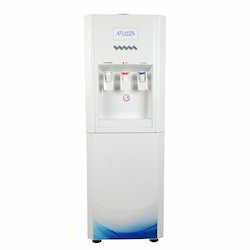 Prominent & Leading Manufacturer from Noida, we offer atlantis super hot cold & normal non bottled water dispenser. With Atlantis Super, you can even get water at normal temperature; the new 3 taps provide hot, cold and fresh water so that you can enjoy a hassle-free lifestyle in the true sense. designs that add to the ambiance of your kitchen, offices, and shops.